The Urban Redevelopment Authority (URA) has launched the residential site at Lorong Lew Lian for sale by public tender. This site which can potentially yield about 465 residential units was available for sale on the Reserve List of the 2H2015 Government Land Sales Programme. On 22 September 2015, URA announced that it had received an application from a developer for the site to be put up for public tender. 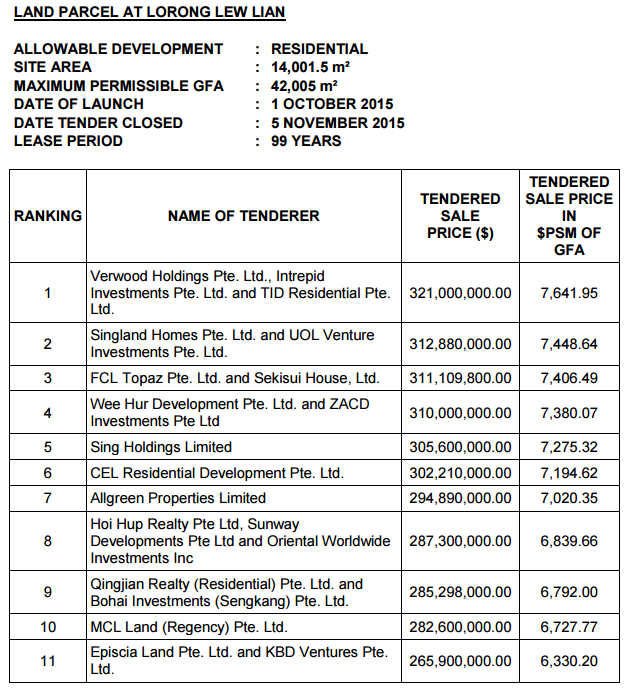 The developer committed to a bid price of not less than $250,000,000 in the tender for the site. Attractive location within an established residential estate. Good accessibility to Upper Serangoon Road, Upper Paya Lebar Road and Central Expressway (CTE). 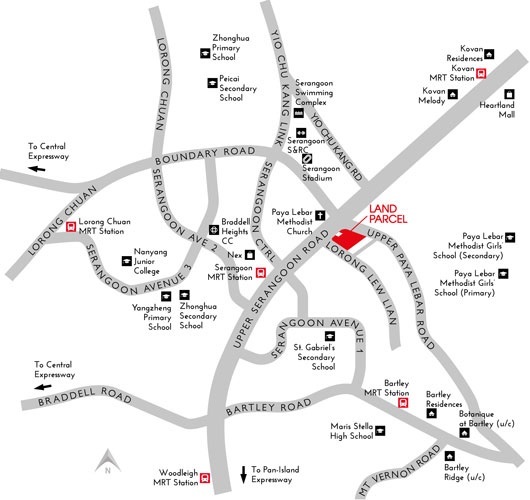 The nearby Serangoon MRT Station will provide easy access to all parts of the island. Located near Serangoon Town Centre, NEX Shopping Mall and Heartland Mall. Reputable schools in the vicinity include Paya Lebar Methodist Girls’ Primary and Secondary Schools, Maris Stella High and Nanyang Junior College. Residents can enjoy recreational facilities at the nearby Serangoon Sports Stadium and Swimming Complex. City Developments (CDL) and joint venture partners Hong Leong Holdings and TID submitted the top bid of $321 million, or about $710 per sq ft per plot ratio (psf ppr) for the site in Lorong Lew Lian which attracted 11 bids. The 1.4 ha site was on the reserve list of the Government Land Sales programme for this half of the year. It was triggered for release and launched for sale in October – the first time in about 21 months that a reserve list site was triggered. Developers are expected to build 12- to 13-storey condominium with around 500 units. Why Invest In Forestwood Residences? For more information on Forestwood Residences, simply fill up your details below and our salesperson will get in touch with you shortly!